Kwesé TV, the internet TV service owned by Econet and targetted at Sub-Saharan Africa will be going live before the start of the 2016-2017 English Premier League season which kicks off in August this year. This information was shared by Econet Wireless in a statement it released regarding the rights it recently acquired to stream English Premier League football matches. Econet hasn’t given any other date more specific than that, but a four-month timeline helps brings the launch into focus, particularly for people who are looking for a pay TV alternative. It’s also a significant contrast to the yet to be announced date for a continent-wide launch of Econet’s other pay TV service ipidi TV. Though ipidi has launched in Kenya and Zambia, its still hasn’t made an entrance across the entire continent, even with the Video on Demand market experiencing an influx of other new operators like Showmax and Netflix. Ever since Kwesé TV was announced in December last year, the service has attracted a lot of attention, with the recent news of free access to top flight English football for Sub-Saharan Africa drawing the most interest. 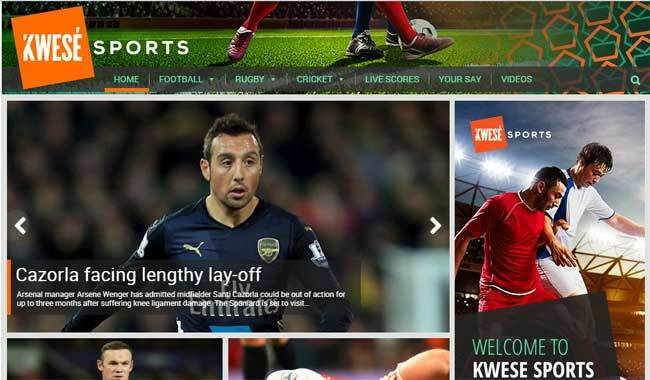 Though offering limited access to the very popular football league the deal has positioned Kwesé TV as a service provider with enough clout to take on existing Video on Demand services and most importantly as having a real shot at competing across the continent with the runaway market leader in African pay TV, MultiChoice’s DStv. It’s clear that Kwesé TV won’t unseat the Multichoice’s SuperSport franchise and DStv from their dominant positions straight away. There are a lot of other dynamics that Kwese TV will have to wrestle with such as figuring out broadband solutions relating to content delivering and snapping up more content than just Saturday afternoon footie match. However, TV fans who are excited about possible entertainment options courtesy of the internet have taken some comfort in the elaborate efforts that Econet has been making towards achieving that dream of pay TV competition. For them, it’s almost like a faith led investment into what will be done to break down a monopoly. These efforts that have stoked such belief have so far included an extensive investment of resources, attracting media talent and securing the right sort of content like English soccer. What’s only left is to find out by mid August 2016 if those efforts have paid off and whether or not Kwesé TV is ready to start a new season playing in a very competitive league. I’m wondering if our Zim networks can stream and the cost of streaming. I can’t stream Kwesé at the moment. Nemabundles avo anodhura aya Dstv iri nani. Kwese TV I think its the way to go and will pose a serious challenge to Dstv which I know will reduce its price as a way of keeping its customers but eventually Strive Masiiwa will prevail .Lets be proud of our own people “Zimbabweans” who are at least putting our country on the map for good reasons.We need more people who have the brains and capacity to lift our face internationally. I believe it is in South Africa. Kwese is the way to go but the bandwidth is too unreliable and expensive to for this to be effective. At least we can watch later kick off games and the internet normally improves around that time. I think its a very interesting thing what econet is doing, I have to say that their are other big factors besides the internet cost and speed. from my experience contents realy matter which i put on no. 1 on my list of inquiry. Please how many premiership match it will be show every week ? i need to purchase it. Pls how many EPL do you show in a week. How can I subscribe here in South Africa… I am a basketball fan and NBA is my favorite.. I need it before the season starts in two days time. Kindly assist me with contact mail if possible.